After two weekends in a row spent at home, this week I was determined to spend at least one day on the trail this week. A week of late nights at work meant I had no time for a post-work walk, so even though it rained a lot over the weekend, I managed to convince Andy to go for a long walk through the Paradise Valley Conservation Area. While we lucked out and managed to schedule our walk for the few hours the downpour decided to let up, there was plenty of mud to negotiate on the trail. 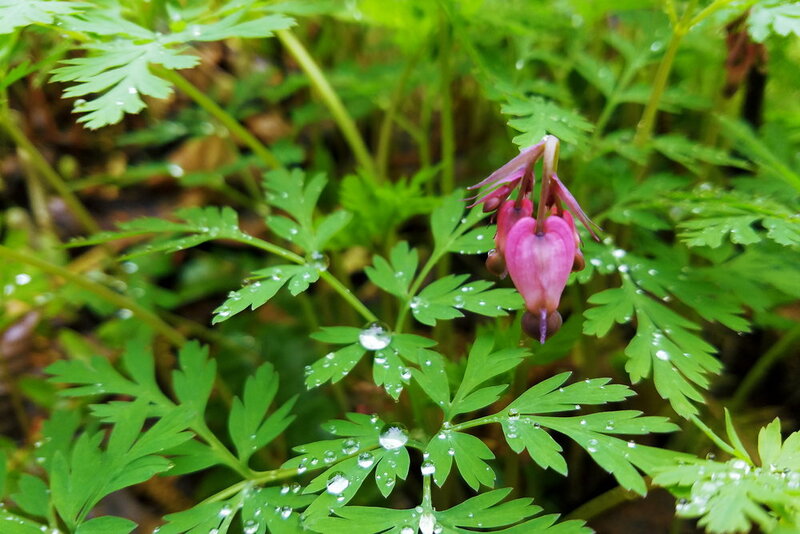 I never mind a little mud though, and the new spring vegetation covered in jewel-like droplets of rain made for an especially magical walk. Giant trillium blooms littered the forest floor in dense clusters, and we spotted the occasional pink of budding salmonberry. Before I know it, summer will be here and those flowers will have turned into trailside snacks! As the days continue to get longer and lovelier, work continues to get busier, leaving me less time and energy to leave the apartment. During the hectic days of April and May, I dream of summer when work will be comparatively quiet, and there will plenty of time for all sorts of adventures. For now, I'll have to settle for watching the ever changing spring weather outside the window over my desk, and make the most of weekends. 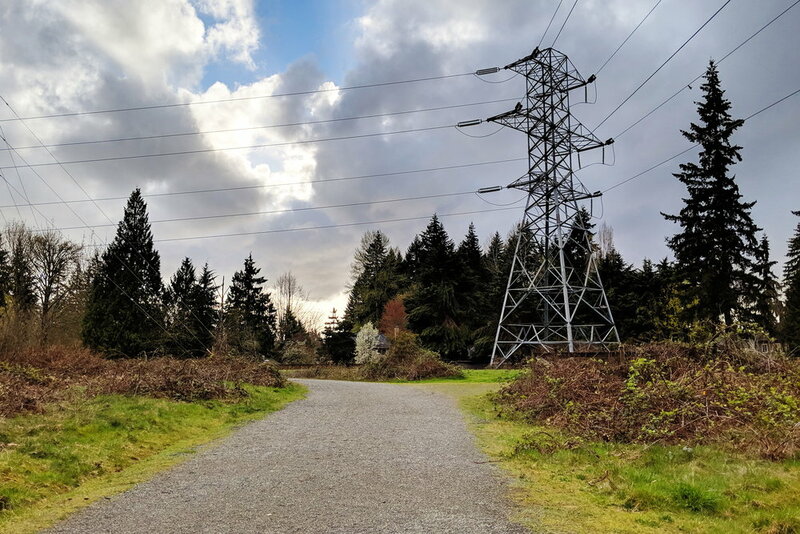 This weekend, we had plans that kept us close to home, but we still had time for a couple long walks on the Powerline Trail and around Redmond. The neighborhood is constantly changing this time of year. For every tree that has already shed its blooms, four more are just beginning to burst into flower. Spring can feel so fleeting, but there while the specific varieties may change, there will be plenty of blooms to find for many months! I absolutely love this time of year. While the weather has been gradually shifting towards spring for months, suddenly it seems like everything is blooming and growing. Everywhere, instead of bare branches, there's new green growth. The walks I took through our neighborhood on the long, warm, sunny days were significantly slowed by my constant pauses to snap photos of many of my favorite blooms. The dogwood are blooming! Along with lilacs, dogwood are my favorite flowers. Lilacs, I love for their smell, but dogwood I love for their sturdy, large flowers in bright pink, white, and sometimes even pale green. They're everywhere this week.